Skimming across the top of the water, with nothing but a board beneath your feet is one of the best feelings in the world. Paddling out with friends, both old and new, will create memories that last a lifetime. And depending on your mode of transport, it can be an exhilarating experience. There are numerous ways and places to get your boarding fix in the Bruce. If you want to try kiteboarding, Oliphant is one of the best places in the country to learn. Knee deep for as far as the eye can see, you never have to worry about getting in water that’s over your head. And because of the geography of this epically large beach, it gets two different wind directions, meaning your chance of getting up and riding is way higher in Oliphant than most other places in the province. Combine that with instruction from one of the oldest kiteboarding schools in the country and you’ll be ripping up Lake Huron in no time. When the winds are up, the surf is up at Kincardine. And for Great Lakes surfers, this is the Pipeline of the Great Lakes. Winds create swells that break along the pier at Station Beach giving surfers easy access to incredible rides. The yearly Great Lakes surf comp, the Westshore Freshwater Classic takes place here every fall, and surfers come from throughout Canada and the USA to try to win the title. If you want to try your luck at hanging ten, hook up with the fine folks at the Westshore Surf Shop to get all the beta. One of the fastest growing board sports is stand up paddle boarding. And the reason for its popularity is the incredible versatility of this new sport; if there’s water, you can do it. Lakes, bays, rivers, ponds are all possible locations for paddle boarding. Plus it’s super easy to learn. A stunning location is Lion’s Head Harbour; simply leave the marina and paddle Southeast to get to the incredible cliffs of the escarpment. 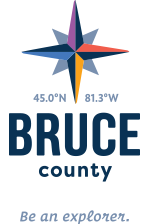 If you want to rent boards, or take lessons there are plenty of places offering that in Bruce County. Hit up somewhere like Suntrail or Thorncrest. This is Canada’s Longest Footpath. Most explorers add the Bruce Trail to their bucket list. This trail travels the entire length of the Bruce Peninsula with lots of incredible scenic lookouts along Georgian Bay. Along the way, you will find lady slippers (orchids), ramps (wild leeks), turquoise water of Georgian Bay, Wiarton Willie, puffballs (wild mushrooms), and of course our wild life. Find out about our Top 10 trails along the Bruce Trail here.